I'm making a personal effort to work my way through some of the samples I've received, and while I enjoy trying them, only about 10-20% make the cut to something I actually purchase because I loved the sample. 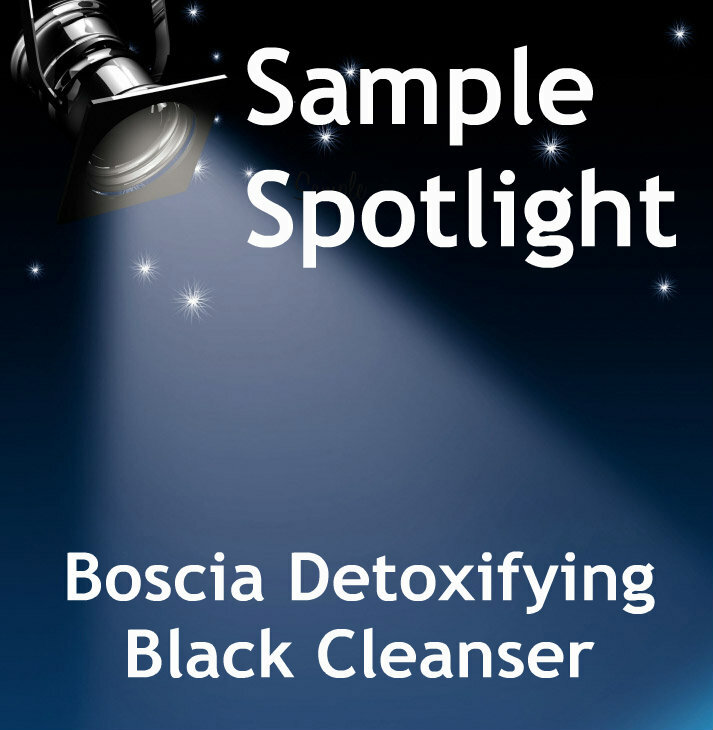 Boscia Detoxifying Black Cleanser ($28.00/5 fl. oz.) is one such sample. This bonus sized sample was offered as a 100 point perk from Sephora a while back. Pretty, don't you think?!! 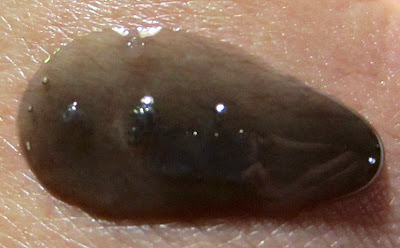 This product is a black gel-like fluid that has a warming sensation when used. That's an added bonus for the fun factor alone, but it does feel very nice and relaxing on my skin. Is it odd that I look forward to using this just for that warming element? The heat sensation doesn't last too long though. The scent is earthy with a hint of licorice, and it does produce a lather, but I would say just a moderate amount. It rinses clean away, and leaves my skin feeling soft and hydrated. My pores are almost completely cleared, so that is a big plus. Radiant skin and clear pores. Sample succeess! When I went to Sephora's site to order a full-sized bottle, I saw they had a new product, the Konjac Cleansing Sponge with Bamboo Charcoal for $18.00, so I ordered that also. 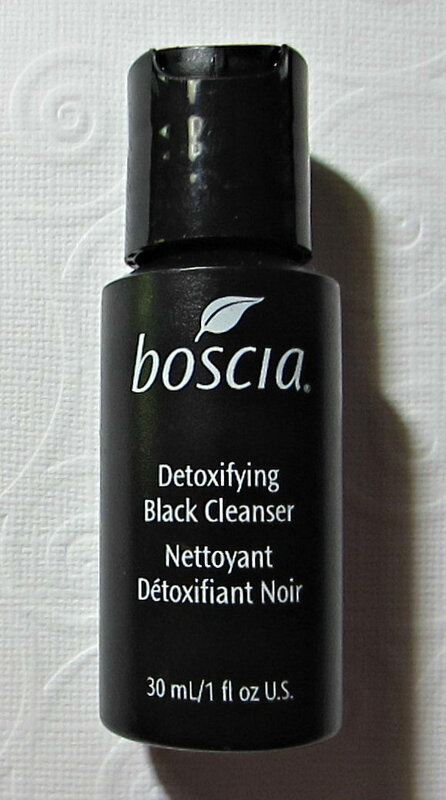 I'm noticing more and more skin care utilizing charcoal (as the black cleanser does as well), so I'm looking forward to trying this out. Boscia Detoxifying Black Cleanser Ingredients: Glycereth-26, Glycerin, Sodium Cocoyl Glutamate, Polysorbate 20, Sodium Lauroyl Glutamate, Simmondsia Chinensis (Jojoba) Leaf Extract, Epilobium Angustifolium Flower/Leaf/Stem Extract, Cynara Scolymus (Artichoke) Leaf Extract, Glycyrrhiza Glabra (Licorice) Root Extract, Ascorbyl Glucoside, Alpha Glucosyl Hesperidin, Glycolic Acid, PEG-120 Methyl Glucose Dioleate, Ceteth-25, Oleth-10, Butylene Glycol, Citrus Paradisi Seed Extract, Xanthan Gum, Water, Charcoal Powder, Pelargonium Graveolens Flower Oil.